Even after decades of safety improvements, more people are now dying on our roadways every year, especially people walking. This happens in part because we continue to design our streets to prioritize moving cars—not people—as quickly as possible, creating a dangerous, high-speed environment for all people who use the street. 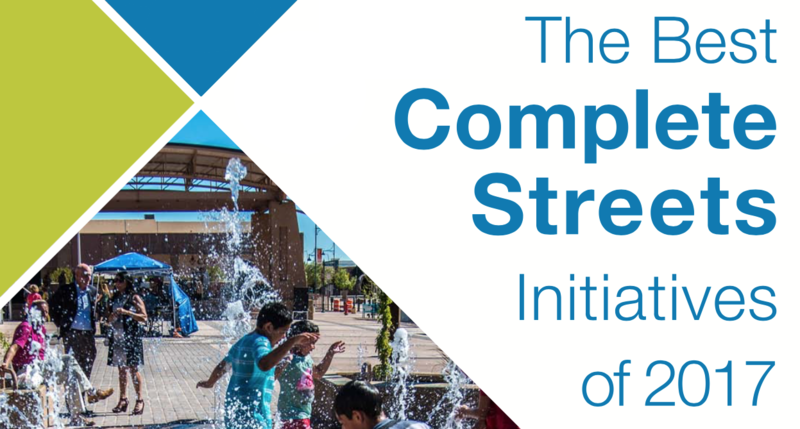 To test out creative approaches to safer street design, the National Complete Streets Coalition launched the Safe Streets Academy. 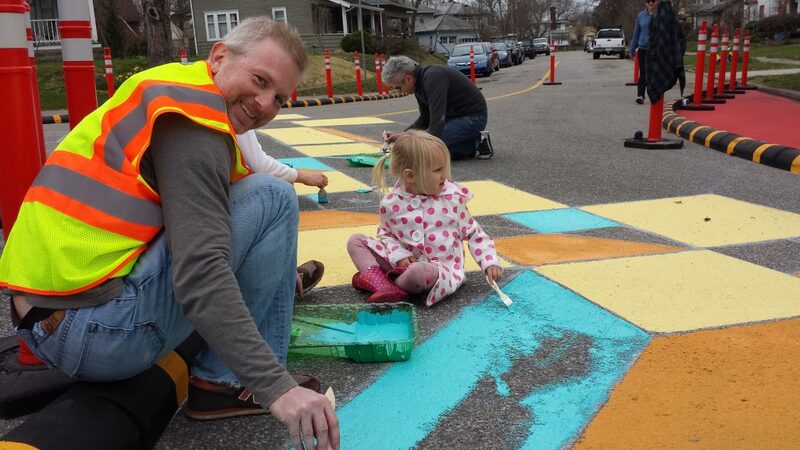 We worked with three cities around the country to build skills in safer street design, creative placemaking, and community engagement, then helped the cities put these skills into practice. 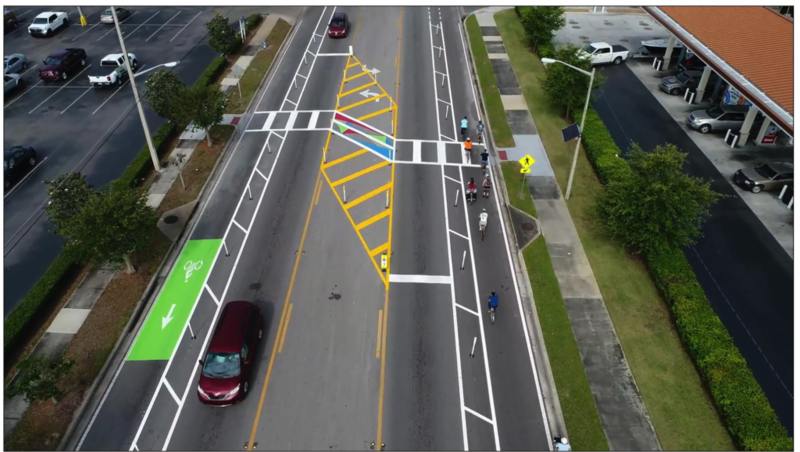 Through demonstration projects, the City of Orlando, FL, the Lexington-Fayette Urban County Government, KY, and the City of South Bend, IN transformed their streets, intersections, and neighborhoods into slower, safer places for people. Communities around the country can learn from the stories of these demonstration projects to test out low-cost ways to create safer streets. 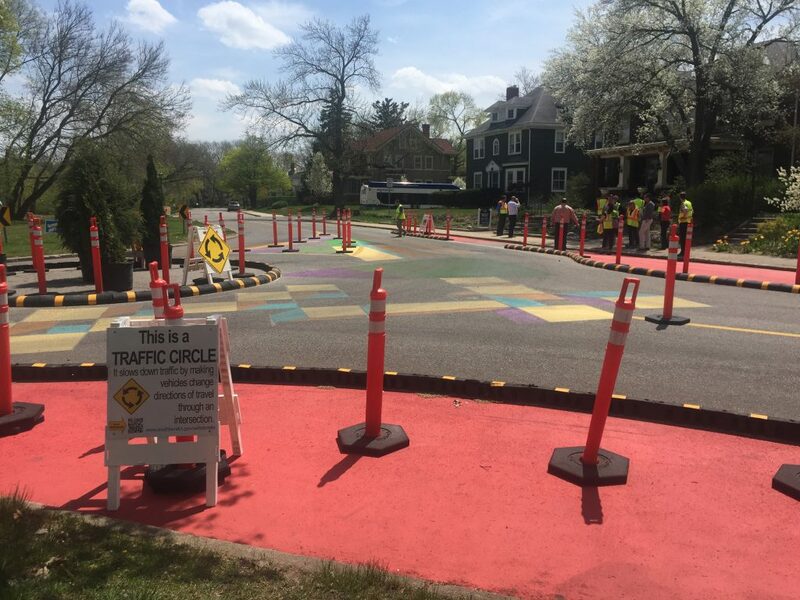 To address recurring, dangerous speeding problems on neighborhood streets, the City of South Bend launched a demonstration project to test out traffic-calming tools they had never used before including traffic circles, chicanes, and bump outs. They worked closely with the local community to decide where these traffic-calming strategies were most needed. They also added educational signs to help teach people how street design can improve safety by encouraging drivers to slow down while simultaneously creating more vibrant places for people. As a result of this demonstration project, drivers drove slower on these streets, and South Bend also built trust with the community. To replicate the success of this project elsewhere, South Bend will develop a toolkit based on this experience to launch additional traffic calming projects in other neighborhoods throughout the city to improve safety and convenience for people on foot or bike. Two particular intersections along Bryan Avenue in Lexington, KY were dangerous and confusing places for everyone, including people walking, biking, and driving. Both intersections had unusual turning angles and missing crosswalks, and it was often unclear who had the right of way. 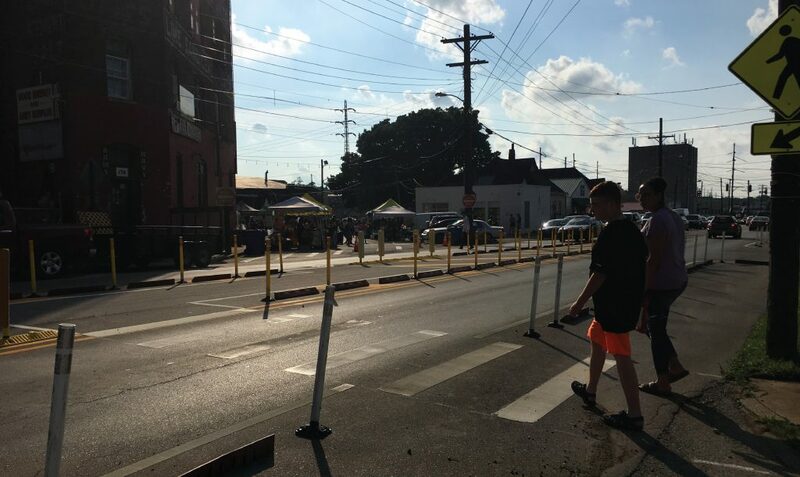 To slow the speeds of cars traveling through these two intersections and transform them into safer, more predictable, and more comfortable places for people, a team from the Lexington-Fayette Urban County Government launched a temporary demonstration project. They worked closely with the local community and used inexpensive, flexible materials to redesign the intersections by redirecting cars and adding crosswalks and pedestrian refuges. Lexington also tested out more interactive strategies for letting the people in the community most affected by the project take the lead on envisioning safer streets. The Orlando metropolitan region has long had notoriously dangerous roadways, especially for people walking. A team from the City of Orlando dedicated to improving safety launched a demonstration project on Curry Ford Road, a commercial arterial with a history of crashes involving people walking and biking that spans both the city’s and county’s jurisdictions. By collaborating with Orange County staff and with local elected officials, the team transformed this five-lane speedway into a three-lane Complete Street with protected cycle tracks and a mid-block crossing with a painted pedestrian refuge. Although local business owners and nearby residents supported the demonstration project, people who commute through the neighborhood were resistant to the changes, which raised important questions about the necessary trade-offs between safety and speed when designing safer streets for people. Through our Safe Streets Academy, teams from Orlando, FL, Lexington, KY, and South Bend, IN launched demonstration projects to transform their streets into safer places for people walking, biking, and driving. How did they do it? On June 12, we’re releasing case studies that tell their stories — stories that can help others around the country learn how to create safer streets in their own communities. Join us for a webinar on June 12 from 2:30-3:30PM ET to celebrate these projects and learn more about the cities’ experiences! This year we’re highlighting 12 of the best Complete Streets initiatives, projects, and champions around the country in lieu of our typical annual Best Complete Streets Policies report. The Best Complete Streets Initiatives of 2017 celebrates the people and communities that are setting an example for implementation and equity in Complete Streets which are an important part of the new Complete Streets grading framework that will take effect next year. 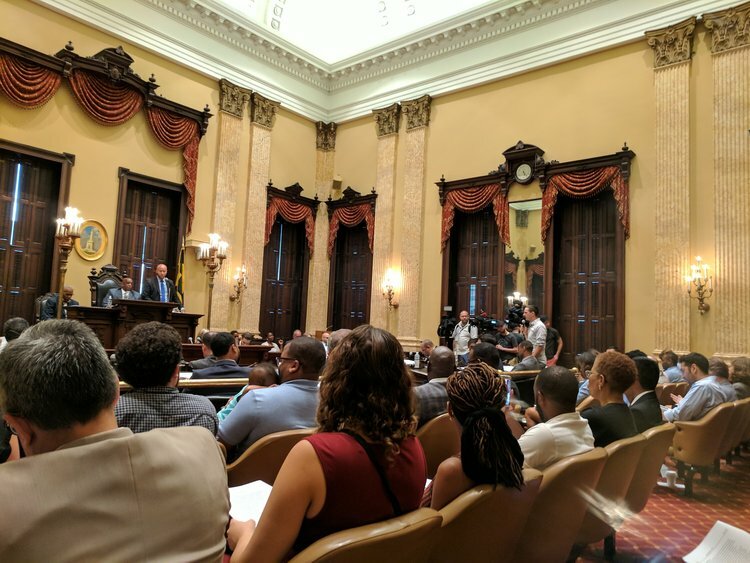 Councilman Ryan Dorsey, in collaboration with the advocacy organization Bikemore, drafted a groundbreaking Complete Streets ordinance for the City of Baltimore. The Complete Streets ordinance, if adopted, will introduce stringent, binding requirements to proactively reduce disparities in community engagement, project delivery, and performance measurements. The proposed ordinance is the result of a yearlong stakeholder engagement process that has built a broad coalition of supporters to oversee the adoption and implementation of this ambitious ordinance. Based in Bloomfield, NJ (18 miles from New York City), VELO is a media and advocacy organization that informs and educates the public and policymakers on how to make the streets of Northern New Jersey safer for people, regardless of gender, age, race, disability, and/or socioeconomic status. VELO approach to equity includes raising the profile of transportation issues to policy and decision makers in working class, Latinx, and African-American communities. VELO excels in their community engagement efforts by not requiring people to alter their daily routines to participate. 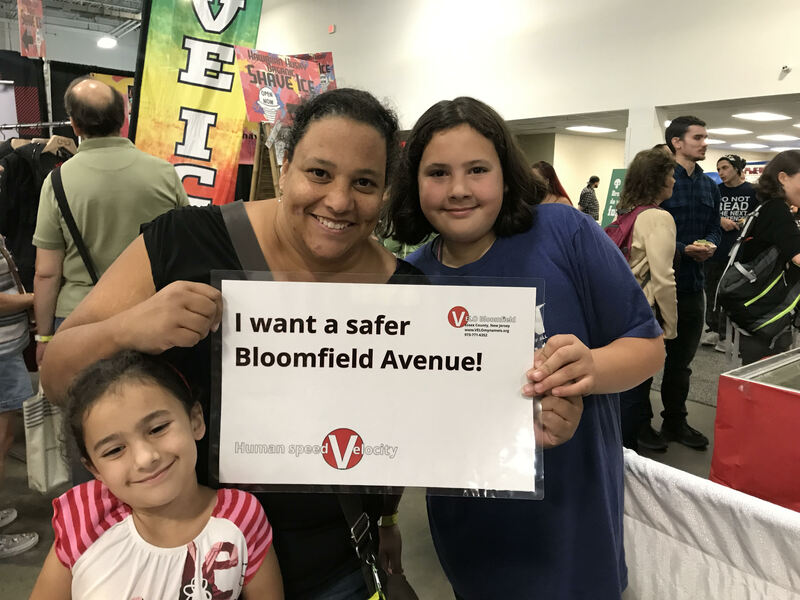 Since their launch, they have championed Complete Streets implementation, particularly in the immediate Bloomfield area, and amplified the voices of community members around transportation policies. Las Cruces, NM is one of many cities across the U.S. creating a more mixed-use, accessible, and walkable community. The key to their success? A Downtown Master Plan that recognizes the strong connection between land use and transportation. Originally adopted back in 2004, the Downtown Master Plan is a living document that reflects the community’s vision. 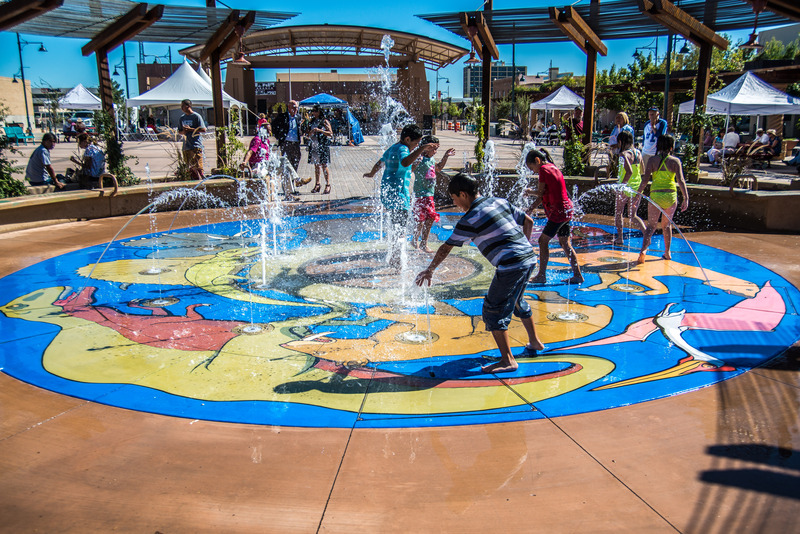 This plan was crucial to the city’s adoption of a form-based code and advancement of Complete Streets initiatives, including a recent flagship project, Plaza de Las Cruces.